If you’re like most of us and have filled your car’s gas tank in the last few months, you’ve noticed significant savings; you might have even driven away with a smile. No one minds paying a bit less at the pump. 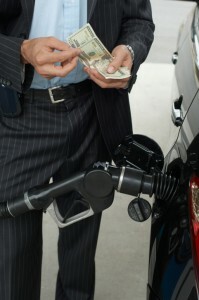 Unfortunately, low gas prices don’t just affect our pocketbooks. They have a profound impact on many industries all across the board. How do low gas prices affect your customers — and, more important, their payments to you? supported more than 9.8 million jobs. generated $597.6 billion in associated labor income. contributed $1.2 trillion in added value to the economy. But with the recent downturn in energy prices, layoffs are rampant and company restructuring and consolidation are on the rise. Nearly all energy companies have had to make cutbacks. Furthermore, when gas gets cheaper, industries that rely on oil production or the people it employs may take a hit, too. For instance, the energy sector is the largest purchaser of metals for infrastructure such as pipelines and equipment. When gas prices fall, energy companies spend less on infrastructure, therefore also creating a downturn in the demand for metals. Partner with a commercial credit management company that will help you maintain positive, long-term customer relationships. Contact MSCCM at 800-457-8244, fax us at 303-806-5360, or send a request through our website. Many companies that are in support roles for oil and gas, and even some state governments that typically collect taxes and fees from oil producers as part of their state revenue, have noticed a reduction in their revenues based on the fall of gas prices. Of course, not all businesses have been negatively affected by lower gas prices. Trucking, shipping, and manufacturing companies have seen a boost to their bottom lines as they spend less on energy and fuel. It is less expensive to run their daily operations and move product from place to place in the short term. But, depending on who their customers are, the ripple effect of the downturn in oil may catch up to them if the trend continues. Credit managers will want to watch for these ripple effects. If you suspect the downward trend of the energy sector will affect your customers, watch for changes in customer behavior. Work with your commercial credit management company to catch shortfalls early and stay on top of your accounts. It is also important to keep lines of communication open and help creditors create realistic payment plans in light of changes in their revenue streams. Your commercial credit management and collections partner can help you create a path to payment without alienating your customers for good, despite any difficult conditions that low gas prices may have caused. This entry was posted on Thursday, February 11th, 2016 at 1:04 pm	and is filed under Risk Management. You can follow any responses to this entry through the RSS 2.0 feed. Both comments and pings are currently closed.